The sweet and visceral Art Brut are back, bringing us their latest single “Lost Weekend” on May 16th, a week before they release their new studio album Brilliant! Tragic! on May 24rd. 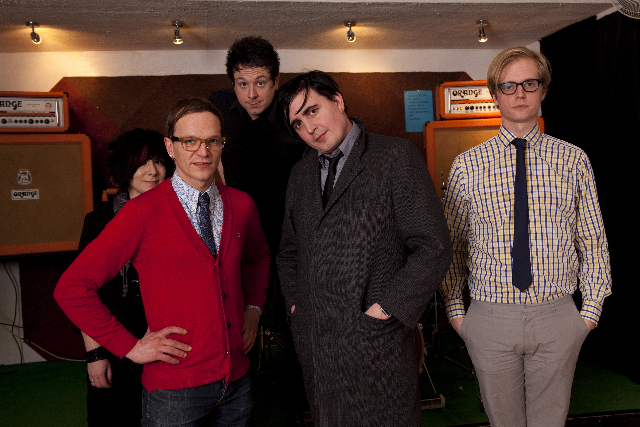 Art Brut have also joined with PledgeMusic to offer fans an exclusive download and extras with Brilliant! Tragic!. The exclusive new track “Unprofessional Wrestling” is available now as a free download here. There are a host of freebies and special offers to be had from Art Brut’s partnership with PledgeMusic, including an opportunity for fans to have Art Brut perform at their very own party. Most importantly, anyone purchasing Brilliant Tragic! through PledgeMusic will be helping UNICEF, Art Brut’s nominated charity. To celebrate the new release, Art Brut will be taking up a 5-night residency at Lexington in London starting on Monday, May 30th and finishing on Friday, June 3rd. More: Art Brut • Brilliant! Tragic! 1990s Announce N. American Tour!